Contact Center Solutions. Bottom Line Results. 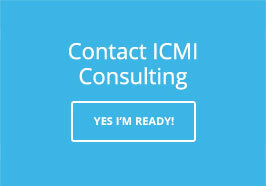 ICMI is the leading industry resource for improving contact center performance. Through real-world solutions led by a team of expert consultants, we help guide our clients to improve results and deliver value to their businesses. No matter your contact center’s challenges and strategic initiatives, ICMI is ready to partner with you to map out the best course of action, utilizing over three decades of industry experience and the best minds in the business. 1. INDUSTRY FOCUS: Our passion is driving contact center performance and we are truly dedicated to this industry, with strong roots in best practices and current trends. 2. CUSTOM CAPABILITIES: We design custom contact center consulting solutions and assessments to meet your exact needs and within your given budget. 3. EXPERTISE: Our consultants are renowned industry experts, with the ability to craft contact center solutions and guidance based on years of experience.